2. ADATA 16GB XPG ADATA 16GB 1866 XPG V2 6850 "
6. KINGSTON DDR3 Laptop RAM 4GB RAM FOR LAPTOP 1900 "
10. CORRSAIR 1GB DDR3 1 GB DDR 3 CORRSAIR (with Heat Sink) 525 "
11. HYNIX 1GB 1 GB DDR 1 HYNIX for LAPTOP 725 "
12. SIMTRONICS DDR3 2 GB DDR3 SIMMTRONICS 890 "
13. CORRSAIR 8GB DDR3 8 GB DDR3 CORRSAIR LAPTOP RAM 2665 "
15. ADATA 4GB ADATA 4GB - Premier 1600 MHz 1300 "
17. Crucial 8GB 8 GB Memory 4800 "
19. KINGSTON 4 GB DDR3 KINGSTON 1600 (HYPERX ) 1300 "
21. ADATA ADATA 4GB - Low Power RAM for laptop - 1600 MHz 1400 "
22. KINGSTON 8 GB DDR3 KINGSTON / HYPERX 2400 "
23. ADATA ADATA 8GB - Premier (1600 MHz) 2650 "
26. Kingston Technology 8GB Kingston Technology (KT) 8GB DDR4 (2133 Mhz) RAM 3900 "
27. Kingston Technology Kingston Technology (KT) 8GB DDR4 HYPERX (2133 Mhz) Memory 3990 "
28. CRUCIAL CRUCIAL 8GB DDR4 (2133 Mhz) RAM 3870 "
29. CORRSAIR CORRSAIR 8GB DDR4 (2400) 4200 "
30. CRUCIAL CRUCIAL 4GB DDR3 (16 chip) 1780 "
31. CRUCIAL RAM CRUCIAL 4GB DDR3 (1600 MHz) 1350 "
33. CORRSAIR 8 GB DDR3 CORRSAIR Vengeance 3145 "
34. KINGSTON 8 GB DDR3 KINGSTON 1600 2640 "
35. HYPERX 8 GB DDR3 HYPERX 1600 2650 "
36. TRANSCEND 8 GB DDR3 TRANSCEND 1600 2645 "
37. CORRSAIR 8 GB DDR3 CORRSAIR VALUE 1600 2655 "
38. CORRSAIR 8 GB DDR3 CORRSAIR XMS 1600 2660 "
39. KINGSTON 8 GB DDR3 KINGSTON LAPTOP MEMORY (1600 MHz) 2650 "
41. KINGSTON 8GB DDR3 KINGSTON/ HYPERX 1866-Mhz 2625 "
42. CORRSAIR 4 GB DDR3 CORRSAIR (WITH HEATSINK) 1500 "
43. 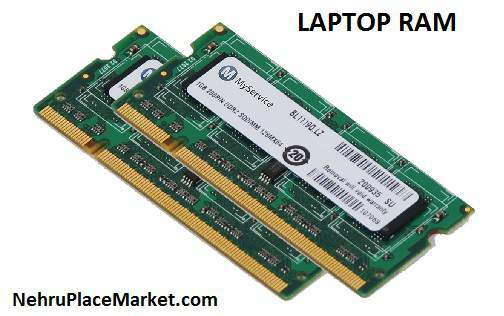 HYNIX 4 GB DDR3 HYNIX LAPTOP RAM (1-Year Warranty) 1425 "
44. SIMTRONICS 4 GB DDR3 SIMMTRONICS 13 "
45. KINGSTON 4 GB DDR3 KINGSTON LAPTOP 1395 "
46. CORRSAIR 4 GB DDR3 CORRSAIR 1505 "
47. CORRSAIR 4 GB DDR3 CORRSAIR Vengeance 1690 "
48. KINGSTON 4 GB DDR3 KINGSTON - 1600 MHz 1365 "
50. ADATA ADATA 4GB RAM XPG-1866 (V-3) 2085 "
51. ADATA ADATA 4GB RAM XPG-2133 (V-1) 2085 "
52. ADATA ADATA 4GB RAM XPG-2400 (V-2) 2200 "
53. TRANSCEND 2 GB DDR2 TRANSCEND LAPTOP Memory 1000 "
54. KINGSTON 2 GB DDR2 KINGSTON LAPTOP RAM 990 "
55. TRANSCEND 2 GB DDR2 TRANSCEND 985 "
56. ADATA ADATA 2GB DDR3 RAM - 1600 MHz 835 "
57. KINGSTON 2 GB DDR2 KINGSTON 990 "
58. 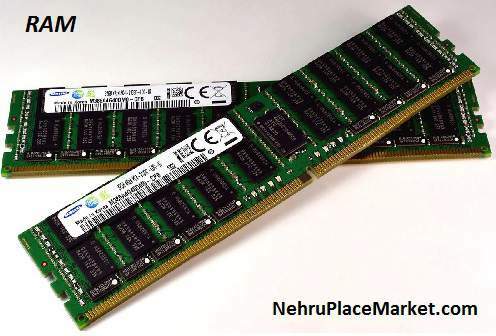 SIMTRONICS 2 GB SIMMTRONICS - DDR2 RAM 1045 "
59. ADATA ADATA 4GB - XPG-1600 V-3 2025 "
60. ADATA ADATA 8GB - XPG-2400 - V2 4380 "
61. ADATA ADATA 8GB LowPower Laptop Memory 3025 Webint Tech. 62. ADATA ADATA 8GB XPG-1600 (V2) 3325 "
63. ADATA ADATA 4GB RAM XPG-1866 (V-1) 1800 "
64. SIMTRONICS 2 GB SIMMTRONICS - DDR2 LAPTOP Memory 1045 "
65. CORRSAIR 2 GB DDR3 CORRSAIR LAPTOP RAM 975 "
66. KINGSTON 2 GB DDR3 KINGSTON - 1333 MHz 950 "
67. KINGSTON KINGSTON 2 GB DDR3 - 1600 MHz 945 "
68. CORRSAIR 2 GB DDR3 CORRSAIR 970 "
69. ADATA ADATA 2GB - Low Power Laptop RAM 850 "
70. KINGSTON 2 GB DDR 3 KINGSTON - 16 CHIP MEMORY 990 "
72. KINGSTON 2 GB DDR3 KINGSTON LAPTOP MEMORY 945 "
73. KINGSTON 1 GB DDR 2 KINGSTON RAM 525 "
74. SIMTRONICS 1 GB DDR 1 SIMMTRONICS LAPTOP RAM 700 "
75. SIMTRONICS 1 GB DDR 1 SIMMTRONICS 525 "
Memory is an important part of the PC in the same way it is for any other electronic gadget. As clear from its name it is used to memorize the instruction and part of data during the operations and processing in computers. It works as a buffer between the input output instruction processing. So there can be very critical faults which may occur because of its failure as it is a vital part of any PC or Laptop. Your search for RAM price must have ended here because the detailed price of Desktop PC memory and laptop memory are shown above in table. If still some doubts and clarifications are there please do contact us.